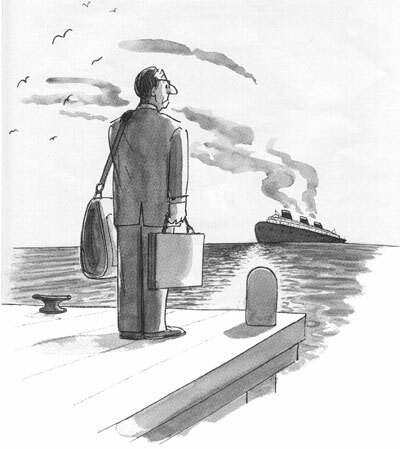 Trad Publishing: Sinking Ship? Or Phoenix that will Rise from the Ashes? Way back in 2011 (anyone remember that long ago?) one of the more imaginative assertions of the grandees of indie spokes-folk was the suggestion that print was on its deathbed thanks to digital, that the Big Six publishers were going to the wall, and self-publishers would inherit the Earth. Well, no question self-publishers have gone from strength to strength, and we all know how well the tiny minority at the top are doing. But most of these are formerly trad-pubbed authors with an established brand built up over many years, and a backlist of titles they’ve re-acquired rights to. All credit to them for seizing the opportunity and taking control of their careers. But let’s not for one second pretend this is something your average new author, starting out from scratch as a self-publisher, can hope to emulate. 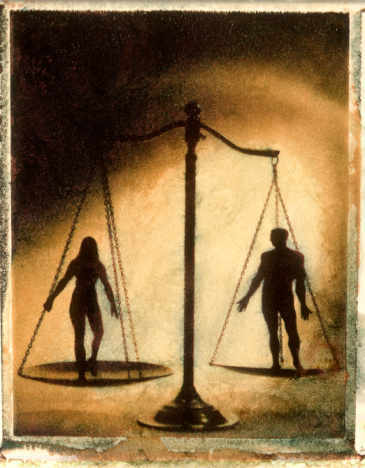 Sure, there are exceptions, but they are few and far between. And the same goes for the formerly trad-pubbed authors now going it alone to huge acclaim. It is precisely because they are exceptions that they are news worthy. What I find increasingly bizarre is the advice they give out to new authors. Don’t even think about promotion until you have four or five titles out. 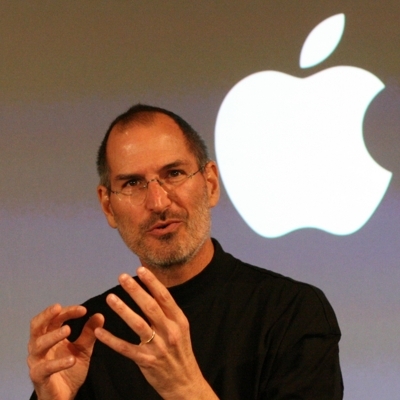 Forget free and cheap strategies – “you indies have no business sense”. And best yet, aim to put out a new title every two weeks! I ran a post on MWi back in May of last year suggesting the doom-mongerers might be a bit premature with their predictions. Back in 2009 there were two schools of thought. Either this “new” epublishing fad would die a death and paper would remain king (the experience of the newspaper industry being a classic example) or the Big 6 were finished. Two years on the Big 6 are most definitely still with us, and while there’s no question they are changing, there’s little sign that they are going under. Which will be a great disappointment to Konrath, but should be a big relief to the rest of us. Paper sales are plummeting, giant bookselling chains like Borders are in liquidation, and Konrath and co. have already written the obituaries for the Big 6 and are there, spades in hand, digging their graves. But I disagree. I simply cannot see the end for the Big 6 or for publishing. 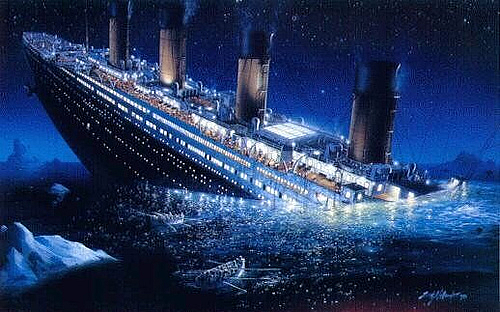 As I’ve said on MWi many times, big ships are hard to turn. 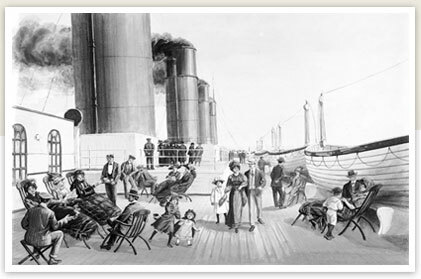 But below deck there’s a frenzy of activity long before anything is seen on the surface. And once they do turn they soon pick up speed. Almost another year on, and the ship has turned. A panel featuring executives form S&S, Random House, Little Brown, HarperCollins and Perseus, spent the morning issuing mea culpas (and highlighting current and planned correctives) over past “paternalistic” practices in dealing with their authors. Indeed there was a fair amount of discussion about whether authors should be called “partners,” “customers,” or “clients,” in an era when veteran authors and even emerging writers have viable alternatives to the traditional publishing contract. Okay, us indies can indulge a smile at this belated turn-around by the trad-publishers, in the certain knowledge the success of indie-publishing has forced this change of attitude. The Big Six aren’t going to the wall anytime soon. While they spent the first half of 2011 publicly denouncing ebooks, and the second easing up on the rhetoric, they were all the time busily investing in the new world of ebooks. And as the quotes above show, they can and do learn, and can and do change. Too little, too late? I don’t think so. In future posts I’ll be returning to just what this means for indie publishing, and why indie writers should welcome rather than rue the return of the Big Six. But for today, a word from our sponsor. In past posts elsewhere I discussed how ebooks would be transformed by sponsorship these coming years, and that advertising within ebooks could and would happen, and that it needn’t be a bad thing. The suggestion had a mixed response at the time, from horrified to gleeful, but most seemed curious as to how it might work. In fact some writers are already making it pay for them. 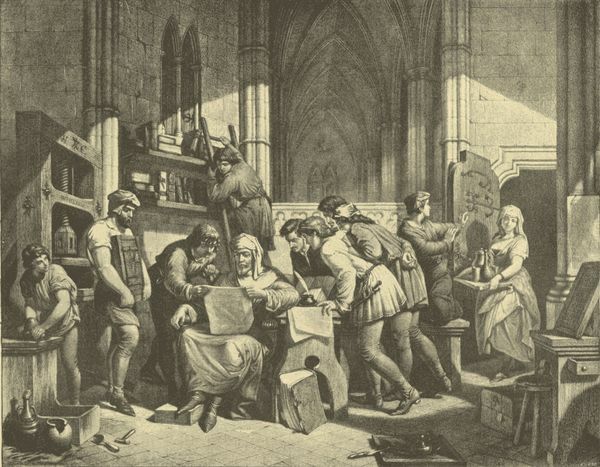 For example, Olivia Lennox writes across many subjects, and tendered a post on library-lending and piracy which she thought might interest MWi readers. Like most bloggers, I’m always on the look-out for guests and new material, so when Olivia emailed offering me a guest post I was of course all ears. But unlike 99% of bloggers, Olivia is a professional freelance journalist. Having been down that road myself in a past life I know that freelance does not mean giving away articles for free. Far from it! Which got me asking why any professional writer would want to write an article for an unpaid blog like MWi. It turns out Olivia makes part of her living by writing sponsored articles. And it transpires this is a fine example of what we might expect in the future with ebook sponsorship, so I’m presenting Olivia’s article in its entirety. Further discussion follows after you’ve read Olivia’s post. 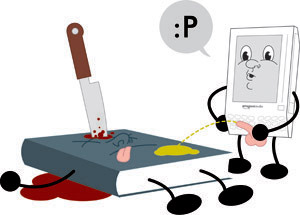 Will Piracy Kill Public eBook Libraries? With the announcement that Penguin has pulled all its new books from e-lending in libraries due to ambiguously labelled “security issues” with digital copies, it’s clear to see piracy has reared its ugly head and leads to the question of whether eBook lending is ever going to take off if publishers are so concerned with “security issues”. According to the Library Journal publication, there has been a 185% increase of eBooks being offered in public libraries across the country and this is a clear step towards a new type of library lending. With Amazon signing up their Kindle to 11,000 public libraries, it’s clear that the eBook really is an alternative to the traditional paperback, even for library users. Digital editions in libraries are a fantastic development and have the added bonus of no worries about late fees as once the time period of loan is up, the book is simply removed from your device. There’s absolutely no reason why you can’t curl up on your recliner sofa with your eReader just as easily as you could with a trusty old paperback. However, with the Penguin group suspending all new eBooks from being made available to libraries in digital form and a complete ban on lending out eBooks to Amazon Kindle users; it is clear there’s a big underlying issue. The Penguin group cited “security concerns” as their reason for this action and this can only mean piracy. There has been no time frame given for the action so it could be a permanent decision although Penguin haven’t pulled their back catalog from the shelves, just new releases and of course, that complete unavailability for Amazon Kindle users. Penguin aren’t the first publishing company to exercise caution when lending our their eBooks, in fact both Macmillan and Simon & Schuster have kept their entire catalog unavailable and HarperCollins have some very strict guidelines in place, with very stringent limitations on the number of times eBooks can be lent. With these publishers all considered high flyers in the industry, it’s a worry for eBook readers that they may not have access to some of the best books around. What’s the problem with Amazon? It seems Penguin have a problem with Amazon in particular, as they don’t like that library eBook lending is directly linked to Amazon. Across US libraries, the service used to lend Kindle eBooks is offered through OverDrive. Overdrive is an Ohio-based book lending company who provide services to over 10,000 schools and libraries in the USA and another 15,000 worldwide. In October, OverDrive began a deal with Amazon for lending eBooks to Kindle uses, promoting Kindle compatibility. As well as working with Kindle, OverDrive provide eBook lending in many other formats including those compatible with Apple and Android devices. Using OverDrive, users are about to loan DRM-protected eBooks which then expire when the lending period is up. The problem with OverDrive and Kindle, is that the titles borrowed from their library appear in their Amazon.com Kindle account area and it’s from here the content can be delivered to your Kindle or Kindle app. This has irritated many publishers and a whole host of readers too as Amazon are seemingly acting as a storefront for all eBooks, whether you’ve used their site to purchase them or not. Publishers have voiced concerns regarding piracy and the digitalisation of books since their first creation and in fact, it’s very easy to see through multiple sites across the web that there are people out there offering thousands and thousands of eBooks for free via Torrent and other download sites. These sites sometimes even include books which have just been released, which is obviously to the detriment of the publishers. That being said, this has been an issue for music producers and record labels for decades now and so this isn’t really anything new, it’s just that the publishing industry is just being stung by it. The issue of piracy and eBook lending is a bit more complex. There are many reasons that publishers may think lending increases the volume of piracy out there. Firstly, the number of different sources through which the digital content passes is a concern. Rather than being transferred from company to reader, a library eBook will pass through the library itself, an intermediary company such as OverDrive and then onto the reader, increasing the number of points at which it could be intercepted and copied. The second major area that concerns is to do with DRM protection. Unfortunately, there are tools readily available to remove this protection from eBooks and then they can be easily shared. With eBook lending, there is no purchase required so it only takes one talented hacker with a library card to slowly work their way through hundreds of books, making them readily available to download and keep for free. eBook lending is a brilliant opportunity to spread the digitalisation of literature and books in general and is something that should be cherished not damned. Hopefully, publishers like Penguin will soon find a way to protect their content in such a way that means they are happy to make it readily available to all the digital bookworms out there. Piracy is of course the age-old excuse for inaction, and a nice little earner for those offering so-called anti-piracy services. But the fact is there are two types of pirates: The international pirates against whom we love to rant, though they cost us nothing, and the domestic pirates we prefer not to acknowledge, who actually cost us far, far more. 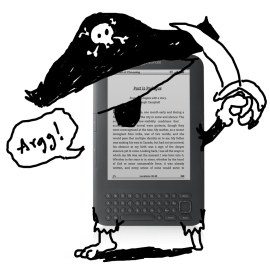 A reminder for now that most ebook piracy occurs in the USA, and that some of America’s biggest corporations profit from it daily and therefore have abolutely no reason to try prevent it. More on this in the near future here on MWi. 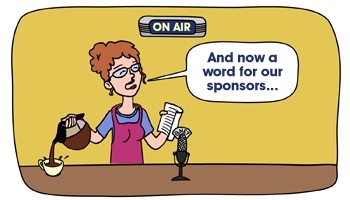 But back to sponsorship. The eagle-eyed among you will have spotted the link to a sofa company hidden away in the text. Now I have no idea what the arrangement is between them and Olivia (I would stress MWi has no connection with the company and uses this purely for ilustrative purposes) but what is clear is that this is a very unobtrusive way of advertising. It’s a short step from a link like this in an article to a similar link in an ebook. For those not interested, just ignore it and read on. But if the link is to a product or brand the MC of the novel is constantly using, or to a location or event, then easy to see the potential here to attract an advertiser’s interest. And their money. All the moreso if you think about how easy it would be to run paid adverts in the back of your ebook. I stress in the back, so they dont interfere with the reading experience. Yes, I can hear the purists muttering about how this would never have happened in print. About how this is the thin end of the wedge. Of course these same people wil happily read comics, magazines and newspapers, listen to radio and watch TV chock full of advertising. Many a print book in the past has carried paid ads. And almost every print book carries ads from its own publisher. So get real. It’s gonna happen whether you like it or not. I’ll return to the ways in which writers might benefit fr0m these developments in future posts. But for now, ponder Olivia’s article and answer this question honestly: Did the sponsored link in the post in any way detract from the quality of the artcle or the point it was making? Ooh la la! It’s Sugar & Spice International! Some people just still don’t get it. It’s not an us and them issue, and never has been, bar for a few extremists at either end of the spectrum. But for many indies it seems that way, because a lot (not all) of the gatekeepers continue to look down on indie publishers as second-rate authors. And no question that, with predatory agents and publishers seeking to abuse indie authors’ inexperience and exploit their aspirations it sometimes feels like it’s us and them. But it needn’t be, and shouldn’t be. There is a middle way, that can get the best of both worlds, and in signing our first print deal with a “trad publisher”, a year after taking the indie route, we think we’ve found it. We get all the benefits of a trad publishing deal in the country concerned, while retaining all the benefits of being indie in every other way. What follows is a joint statement by Saffi and I that covers the background, the deal itself, and why we are and will remain the UK’s leading indie writers, and why we are and will remain supporters of indie writers everywhere. 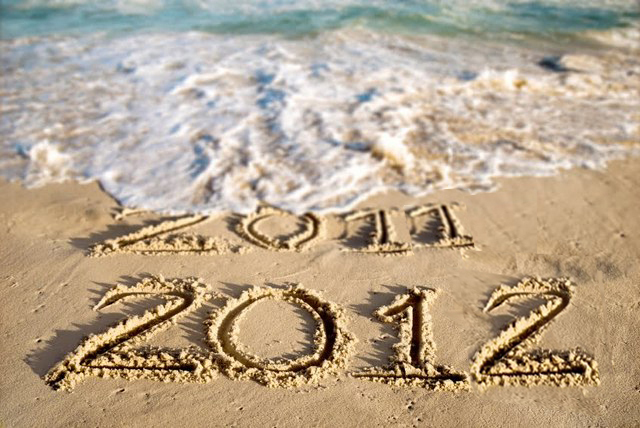 It’s been one crazy year for the Saffina Desforges team. Last Christmas the brand was completely unknown. Two debut novelists (one a complete newbie, the other with background in TV and theatre, but that counts for little when writing a book) writing under a new name, Saffina Desforges. Our book, Sugar & Spice, was barely a month old on Amazon and had sold precisely nothing. We had hopes we might start moving with all the new Kindles in the UK market, but it was not to be. It wasn’t until February, three months after we launched, that we even made double figures! It seemed the gatekeepers were right. Time and again they had turned us away, sometimes with encouraging words, more often not. At best we were told it was a great book but no publisher would touch it due to the sensitive subject matter. In March, after endless months of rejection, we finally had an agent who seemed seriously interested, and took the book under exclusive consideration. 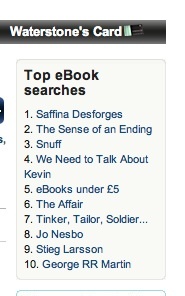 Bear in mind the UK ebook market was still embryonic at this stage. Were there even enough people in the UK with e-readers to make ebooks viable? We doubted it. So the latest agent seemed the answer to our dreams. At the time we would probably have signed anything she sent to us without even looking at it. But the agent was slow. Very slow. She loved the synopsis and openings and asked for the full script for her in-house reader. The in-house reader loved it. A glowing report came back. The agent asked for a further read. Weeks became months. March became May. We became a lot more worldly-wise. When the final decision came, we realized just how crazy the old system was. The agent wanted us to take the ebook down so she could start touting to publishers. Three months earlier we would have done so. We were selling nothing. But this was three months later. The week we sent our first rejection letter to an agent was the week Sugar & Spice broke the 50,000 sales barrier in the tiny UK market, and was the second biggest selling ebook in the country, competing – and beating – names we used to idolize. Sugar & Spice went on to break the 100,000 sales barrier in late summer, and despite an Amazon glitch with the buying links that saw the book literally disappear from Amazon for almost a month, the book continues to sell well today, a year on. And we continued to send out rejection letters, to both agents and publishers. Not because we had suddenly become anti-agent or anti-trad publisher, but because what they offered would have been a backward step. When we hit #2 on Kindle UK with 50k sales the almighty Trident Media Group, one of the biggest agencies on the planet, came cold-calling. Months earlier we couldn’t get an agent to give us the time of day. Now New York’s finest were coming to us! 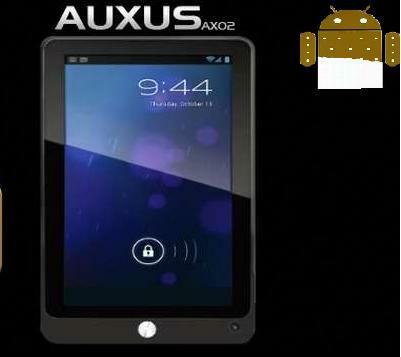 Could this be our big break in the American market? In fact their representative had not even read the book, and when she finally did she wanted so many changes (to a book that by now had sold 60,000 and was still topping the charts!) it would have been unrecognizable. And this just to get them to approach a publisher, let alone whatever changes the publisher might demand. When the Trident agent then told us we had to withhold release of our new Rose Red crime thriller series until after they had approved it – this without us ever having signed a contract with TMG – we realized this and many other agents were living in some fantasy past world where writers were nothing more than an irritation in their all-important lives. When writers had no other options. While all this was going on we were also being approached by overseas agents and publishers. We let slip the name of one Turkish agent in telephone conversation and the next day Trident – with whom we had no agreement whatsoever – had contacted them to tell them TMG were running the show. Six months on Trident have yet to tell the Turkish agency that TMG are not, and never have been, our representatives. Shame on you, Trident Media Group. Other agency and publisher offers followed, with contracts ranging from merely unreasonable to downright despicable. Then along came an offer from France that immediately captured our interest. For starters, they had actually read the book! Nothing can be more instructive about an agent’s or publisher’s interest in you than they never having read the book they seek to represent / publish. Yet here was a French publisher interested in the Sugar & Spice story, not the Amazon ranking. So we moved to the next stage, to discuss T&Cs. Here to stress how important it is for all writers to understand that the true value of any deal is not in how much you get out of it, but how much you lose in the detail. 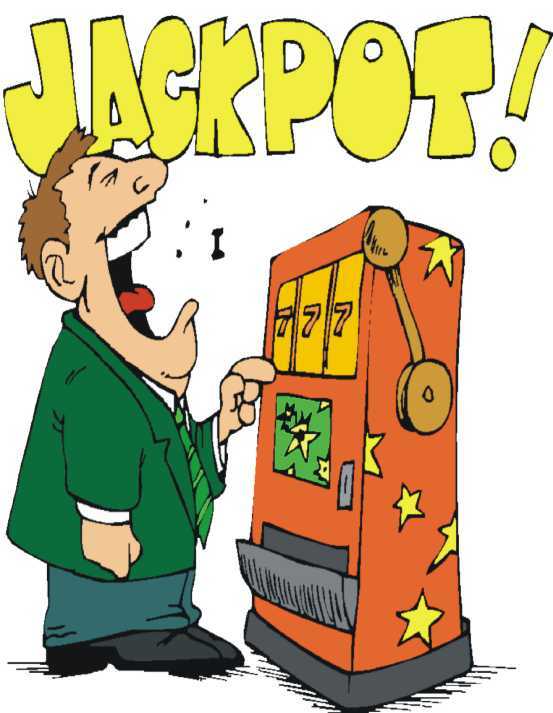 Sure, that glitzy NY agency spiel or the big-dollar advance offered may be tempting. But at what cost to your integrity and future freedom as a writer? Trident told us (from the very first phone conversation they were dictating terms like they owned us!) our projects list of future books was “just silly”. We could only write crime thrillers for “the next three years”. Our urban dark fantasy trilogy? Not a chance. Our YA boarding school series, St. Mallory’s? Forget it. Our China Town chicklit mystery series? Go stand in the corner for using foul language. Chicklit doesn’t sell! As for non-fiction… Trident’s rep almost jumped down the phone and grabbed up by the neck to shake sense into us. And as we looked at other publishers’ and agents’ contracts it became clear many were downright predatory. Non-compete conditions. Exclusivity. World rights despite they having no interest in anything outside the US/UK market. Loss of editorial control. Ridiculous advances and then a timetable to publication that made us wonder if we’d live long enough to see the first edition. Almost every clause was one-sided, and not in favour of the author. So when we were approached by this publisher in France we were wary. We loved their enthusiasm and personal approach, but Trident, and many others before and since, have been enthusiastic and friendly, until the contract came up. At the end of the day, the only thing that matters is the contract. So we went through it with the proverbial fine-toothed comb, exchanged questions, asked for revisions, made suggestions, and discussed the whole deal on equal terms. And when we were quite satisfied, we signed. As is standard in such contracts there is a confidentiality clause which prohibits us giving the fine detail. But we’ll try to be as open as possible about what we gained, and more importantly about what we didn’t lose. First off, these guys moved fast. Within a matter of weeks from first contact with this publisher we had negotiated terms, signed and received the advance. I know you’re all dying to know how much, but we’re not at liberty to discuss that, or the royalty rates. Suffice to say we entered into this contract having weighed up every pro and con carefully, and we are delighted with the outcome. The deal is for French language rights only. Yes, there’s now a Kindle France site sitting there, ripe for exploitation. So why not stay completely indie and go it alone we hear you cry? Well, Sugar & Spice is a 120,000 word novel. The translation costs alone are exorbitant. 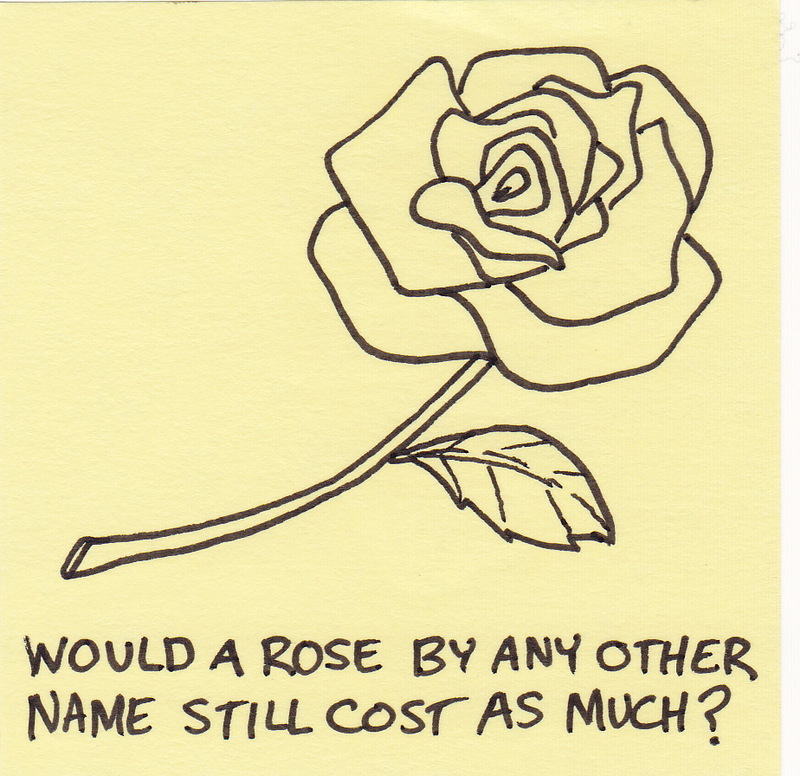 Would we ever recover the costs of translation? If it took off big-time like in the UK, perhaps, but the French e-reader market is tiny by comparison with the UK. That will change, but when? 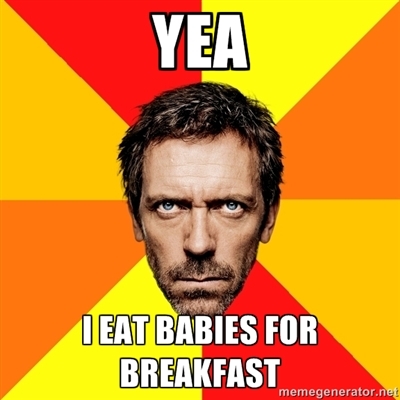 2012? 2015? We have no effective way of marketing in France anyway, and certainly no time to do so. We pondered a percentage deal with a translator, like David Gaughran and Scott Nicholson have done, but it’s a huge amount of work and time to translate a novel of this length, then to see it only available as an ebook in a country where ebooks are so new, and with no effective marketing. Now our French publisher, MA, will translate for us, get us into print on Paris book shelves and into hypermarkets, train stations and bookshelves all over France (I’m ecstatic at that – it’s my favourite European country! – MW), not to mention on amazon.fr. And as MA is widely distributed by a HUGE press over there we can expect a marketing campaign that may not match James Patterson’s, but will certainly be better than we could do on our own. On top of that we got an advance which, when you consider the deal is for one language and has absolutely no limitations on us selling again and again elsewhere around the world, compares very favourably with what US and UK publishers are typically offering for world rights. And of course we’re not giving away 15% of the advance, or the royalties, to an agent who picked up the phone on our behalf. IP lawyers? No need. This was a straight-forward contract with no hidden clauses or ambiguous language. Royalty numbers? Again, we’re not at liberty to discuss details, but MA were open to negotiation and we settled on a figure that compares very favourably with what’s being offered elsewhere. Yes, we could theoretically get 70% from Amazon by going it alone. But that would be digital only. We have no way of getting into any other French ebook outlets, and we have sold precisely four English-language books in France since the Kindle store opened. Now we get to see our book in print in Paris and on Amazon Kindle and other French ebook sites professionally translated and marketed. The math was simple. 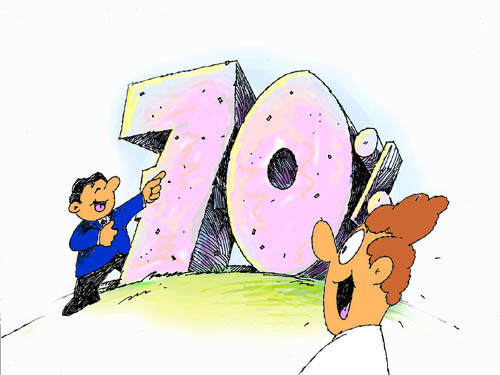 Seventy percent of nothing, or a smaller percentage of a very real something. Throw into the ring the additional problems we’ve had recently with Amazon – where a glitch they admit was their fault just last month cost us literally thousands of sales with no hope of compensation – and it was really a no-brainer. We lose absolutely nothing, and gain in almost every way. 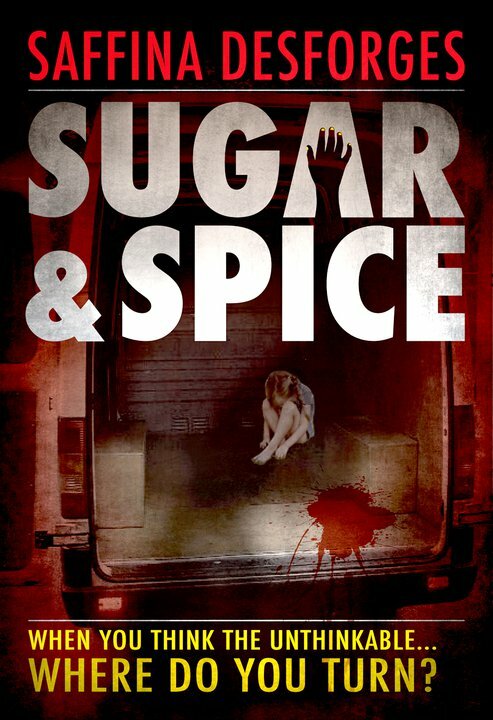 We’ve already banked the advance, and the translation for the print and ebook version of Sugar & Spice in France is on-going, with Paraphilia expected to hit the French market mid-2012. Yes, that soon! Paraphilia? Just one more benefit of having a French outfit on board to sell in France. Sugar & Spice translates easily enough, of course, but the traditional British nursery rhyme it draws upon (“sugar and spice and all things nice, that’s what little girls are made of” – a reference to the story line of the hunt for a child-killer obsessed with little girls) is pretty much unknown in France, so the title was meaningless and potentially misleading. Something that would never have occurred to us as outsiders. So are we still indie? We are very excited about our partnership for 2012 with this forward-thinking publisher and are currently also discussing other options with them. But we built our brand up from nothing, with no help from any trad publisher or agent, and we will continue to do so. We will continue to release all our books as indie ebooks first, written how we want them written with covers we choose, published to a timetable that suits us, and priced as we see fit, for maximum royalties. Oh, and without paying 15% to an agent for doing so. And once we’ve proven the market we can negotiate from strength if and when another agent or publisher comes up with an offer for partial rights to those books. Or indeed for Sugar & Spice itself, which is still open to offers from publishers and agents anywhere that doesn’t speak French! But don’t even think of trying it on with your boilerplate contract for rookie writers like so many have recently! Take a lesson from MA on mutual respect. 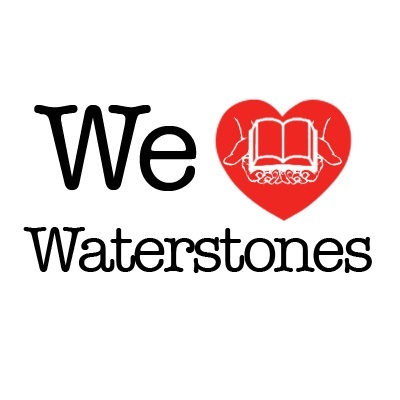 We may not be selling in James Patterson’s numbers, but we think all writers, whatever their status, deserve to be treated with courtesy and respect. And we sure as hell think we’ve earned the right to some. Last Tuesday our cover designer Athanasios (who also answers to Tom, for those who like names easy on the eye and tongue) began the first of a four part series looking at what goes on behind the scenes to produce a great cover. 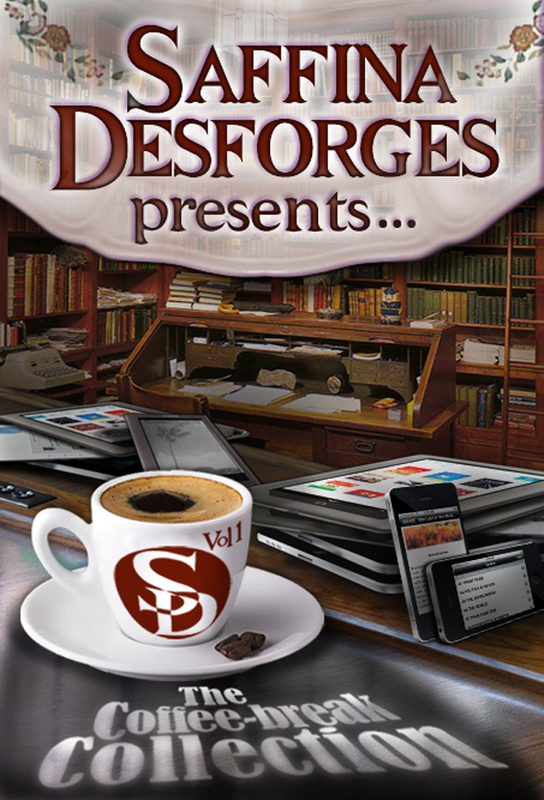 Just a reminder, above, of the two great covers he produced for our Saffina Desforges Presents anthology series. BTW, Volume 2 hopefully will be live this coming weekend! More on that later in the week if things go to plan. meanwhile, without further ado, here’s Athanasios with Part Two of his cover design series. Take it away, Tom! 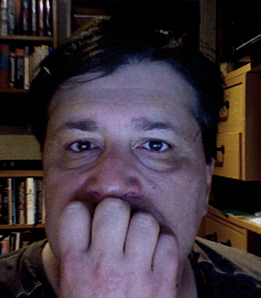 I’m Athanasios, a VERY little known graphic/video artist in dvd/film production and lesser-known indie writer. In my last post I detailed how I went from commenting about other indie writer’s book covers in the facebook group Indie Writers Unite! to redoing and improving them. I also showed the process involved in making covers and their evolution in my own books. I was enjoying some success with the covers I’d done so I continued my promotional efforts. While telling many other facebook groups, forums and indie bloggers about my Occult/Horror Thriller, Mad Gods I also let them know I’m knowledgeable and able to do some pretty damn eye-catching and good covers for books. One such effort bore fruit when Andre Jute at ROBUST goodreads group reposted my ad for Covers For Hire. 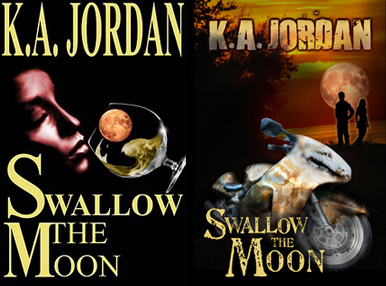 He also gave my name to KA Jordan, a ROBUST group member who was looking for a new cover for her paranormal romance, Swallow the Moon. I went back and compiled our email exchanges and the step by step of the process. I contacted him(?) and got a reply right off. Instead of the black cover, he said he could show me something with both characters and the bike. It’s a him, all right. He’s a professional graphic designer. He creates graphic books. I thought his work would be bang in the bullseye for quite a few ROBUSTER’s books. Then we moved to exchanges of emails. I have an e-book cover that will not work in a print format. 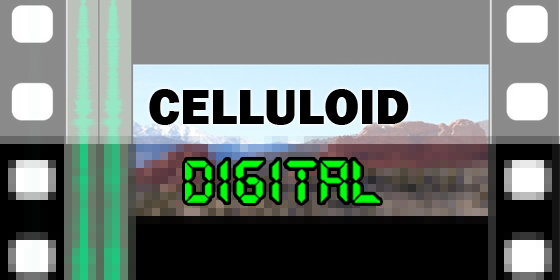 So I’m looking for a cover that will work both as a paperback and an e-book. The name of my e-book is ‘Swallow the Moon’ about a witch, a soldier, a haunted motorcycle and a mad artist. The current cover does not lend itself to becoming a brand. It is very plain green on black. Any suggestions would be appreciated. Well, it’s quite a literal cover. From your description I would do a close up of the bike and do some kind of artwork directly on the bike itself. 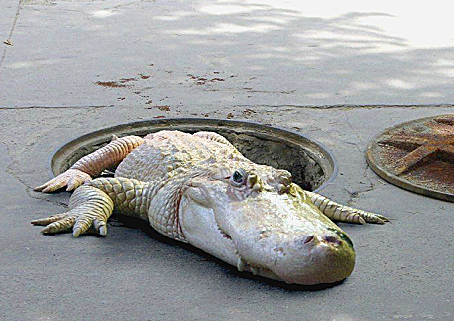 The bike is a modern Haybusa – painted to look like an albino Burmese python. I could do that in mockUP for spec, and if you agree I’ll do it in earnest. The photo attached is roughly the same model – I can’t see if the faring is the right one. I’ll get you a picture of a snake too and I’ve attached the book blurb. Ok is the bike supposed to be reminiscent of a python or a cobra? I gotta know cause the faces of pythons and venomous snakes are different. Also you were mentioning Burmese pythons before. Do you want Burmese coloring or regular python coloring, I’ve gotta know all this. I think the Cobra Head would be the most dramatic of the two. Based on the previous email back & forth I Googled and found references. 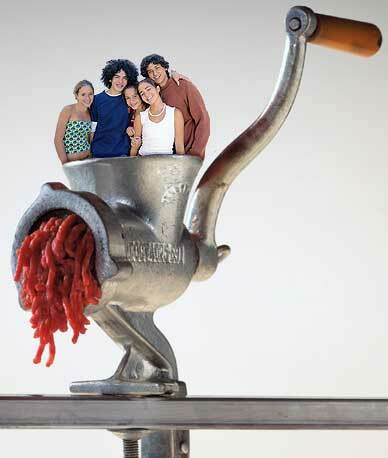 Then I made and sent Kathleen the mockUP to give a proper gist of what I wanted to do. Hey Kathleen. Here is a preliminary mock up of Swallow the Moon. I hope you like it. If you’ve got any further suggestions please specify. Wow – that is seriously moody – I love the snake pattern, the head, and the background with the moon. It should really stand out. I like the typeface too – will work well with other books. There is one suggestion – it’s a romance, so we should have the two of them on the cover. From there I completed the finishing touches. This week I shared a quick back and forth of ideas that led to a striking cover. 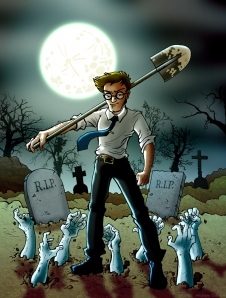 Next week I’ll go into a wider variety of covers and the expansion of the covers for my own work. Athanasios will be back next week with part 3. Meantime we’ve set Athanasios a challenge quite different from his usual fare. Regulars will know that we’re working with two fantabulous teen writers on a new YA series, St. Mallory’s, set in a modern day English boarding school. Imagine St. Trinian’s without the innuendo and stockings, with a dash of Blyton, Brazil and Brent Dyer thrown in. Trans-Atlantic Rift Widens. Is The Amazon Ascendancy Over? It’s been quite a week for epublishing. 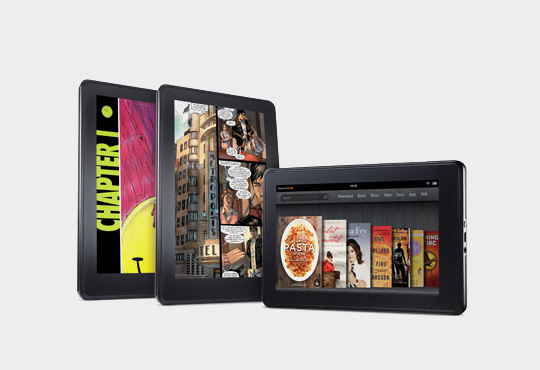 The new KindleFire and the new Nook are out at last, and selling like proverbial hot-cakes. Rumor has it Amazon have five million KindleFires ready for the Holidays bonanza, and the new Nook device won’t be so very far behind. Publishing giant Conde Nast is making its entire line-up of magazines available on the Nook. Similar colourful deals are pending for the KindleFire, and it cannot be long before the magazine market in the US starts heading the way of commercial paperback print books. Newspapers will follow. It’s just a matter of time. And most telling of all, the Luttrell Psalter is now an ebook. I’ve spoken variously about the future of ebooks, both here on MWi and on WG2E. 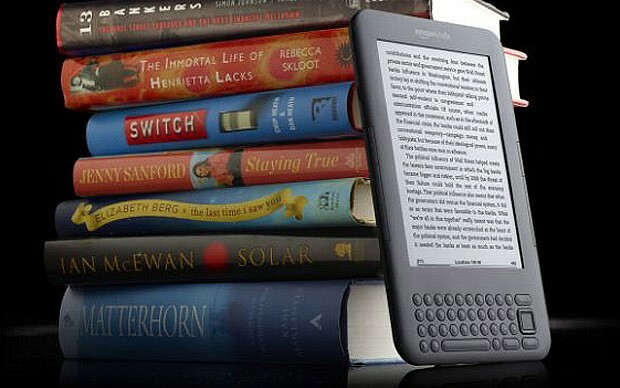 About how enhanced ebooks will be the big thing for 2012, and why Amazon is now in serious danger of losing its supremacy. This week Amazon took another giant two steps forward, one step back, and in doing so the trans-Atlantic rift widened even further. Where will Amazon be in five years time? Still strong in America, inevitably. 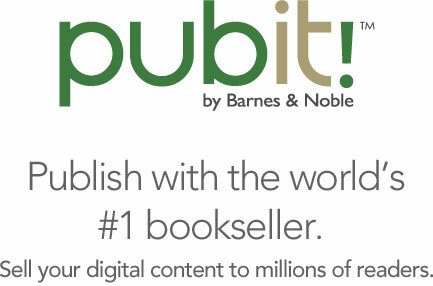 B&N can only seriously compete if it’s bought out by a major player like Apple or the now Japanese-owned Kobo. But Amazon is so well entrenched in the US it really cannot fail. Maybe it will hold its position in the UK. It’s by far the strongest at the moment, but already showing dangerous signs of complacency and indifference to its customers. As for the rest of the world I suspect it will be just another bit-player. To clearly see the future we need to go back a few years into the past. 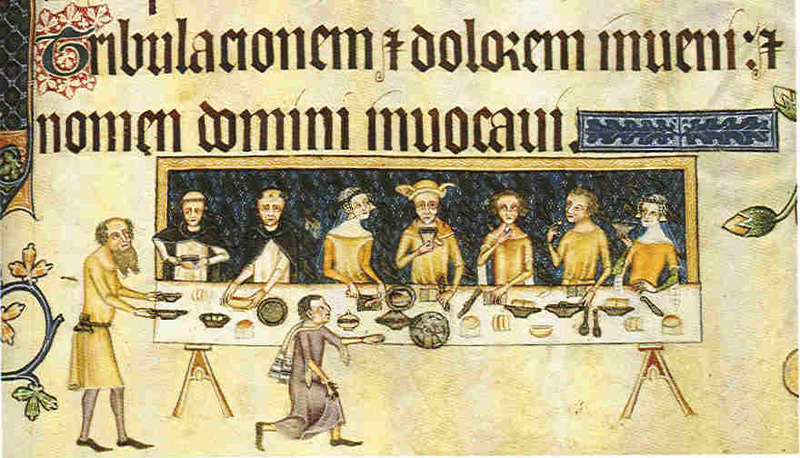 In fact, almost seven hundred years into the past, to the time of the Luttrell Psalter. For those who have never had the pleasure, the Luttrell Psalter is a book. A monastic production commissioned by Sir Geoffrey Luttrell around 1330 in sunny England, back when England wasn’t Britain, let alone a united kingdom, and America hadn’t even been invented. 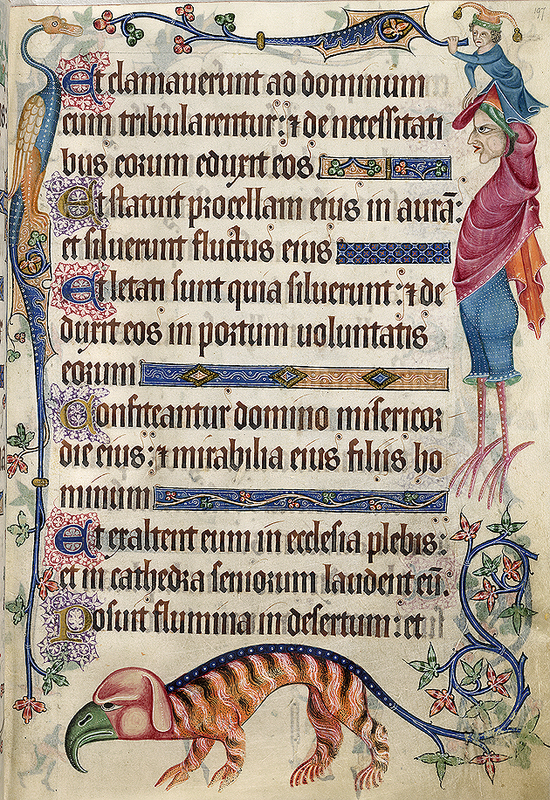 The Psalter is an exquisitely illustrated portrayal of daily C14 life. For those Americans who were taught history began in 1776, just play along and accept that the Luttrell Psalter is a masterpiece of art and literature from pre-history. Over in the UK the much-revered British Library has just released this medieval text as an ebook. It’s not the British Library’s first ebook release, but unquestionably the best. It’s not just an ebook, either. 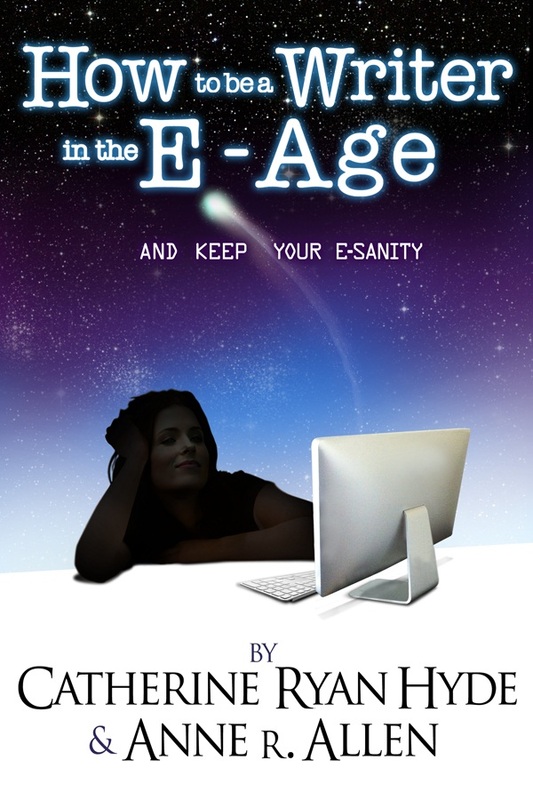 It’s an enhanced ebook. And by enhanced I don’t mean it has an excerpt from the latest James Patterson novel in the back. 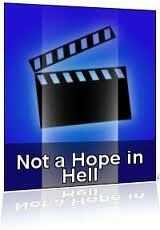 This is a 2012 enhanced ebook, that contains additional written and audio material, and a 20 minute film. 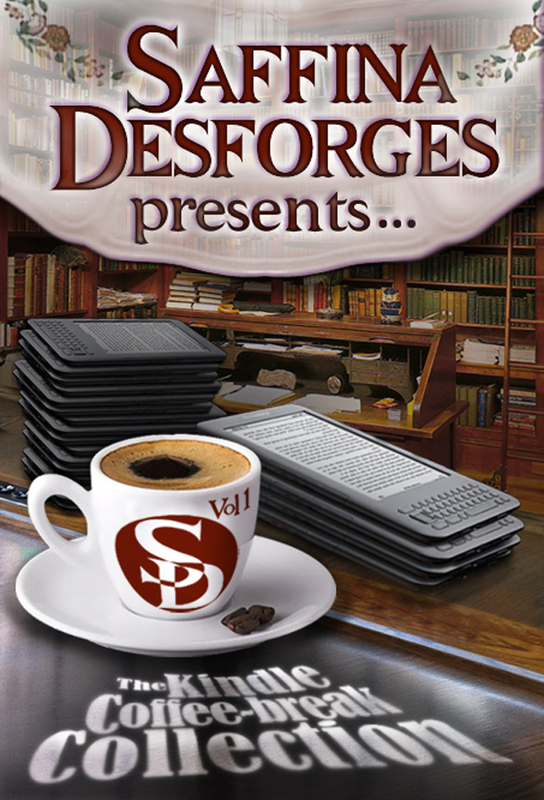 In bringing us the past, this ebook is very much the future. Whether you’re an history obsessive like me, or couldn’t care less about yesteryear, this is a momentous event, signifying all that is great about the e-publishing revolution – that beautifully crafted ancient books like these, just like beautifully crafted modern books, can now be in your hands at the click of a button, and at negligible cost. The future for publishing just gets better and better. As I’ve said many times, the epublishing revolution herald a New Renaissance in literature the like of which we have never seen. Yet the trans-Atlantic gulf that separates America and Europe has just widened hugely, and looks like it will get a lot worse before (if at all) it gets better. B&N’s new Nook tablet looks wonderful, and by all accounts is a better ereader than the KindleFire, but in their infinite wisdom B&N do not sell to buyers outside the US, and do not let authors outside the US upload, except through third party distributors like Smashwords. The new Nook is no more use to readers in the UK, Europe and the rest of the world than the old Nook. It is utterly useless. Which of course has been Amazon’s strength so far. Amazon download ebooks to a fair portion of the world (by no means all – see my previous post on this subject) and for the lucky few in the Kindle nations and a few lucky English-speaking countries that meet Amazon’s approval they don’t rip-off readers with a $2 surcharge. Amazon now have operational Kindle sites in the UK, France and Germany, and pending launches in Spain and Italy. Rumors abound of Kindle sites to come from as far apart as China through Chile. It all seems very exciting. But is the future with Amazon really that bright? 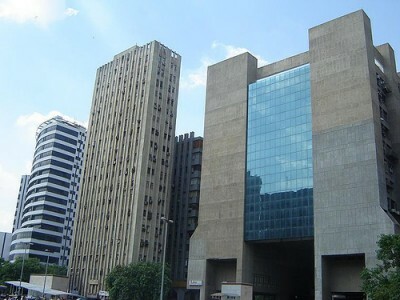 The proposed Chile site, if indeed there is such a thing planned, is scheduled for eighteen months time. Eighteen months away may be next week in the old publishing world, but in the new paradigm eighteen months away might as well be next century. Sorry, guys, but in eighteen months time Chile won’t need a Kindle site. The world will have moved on, leaving Amazon in its wake. I said here on MWi two weeks ago that Amazon was in danger of being eclipsed as it lumbers round the globe, over-confident and full of bluster, yet myopic in its vision. 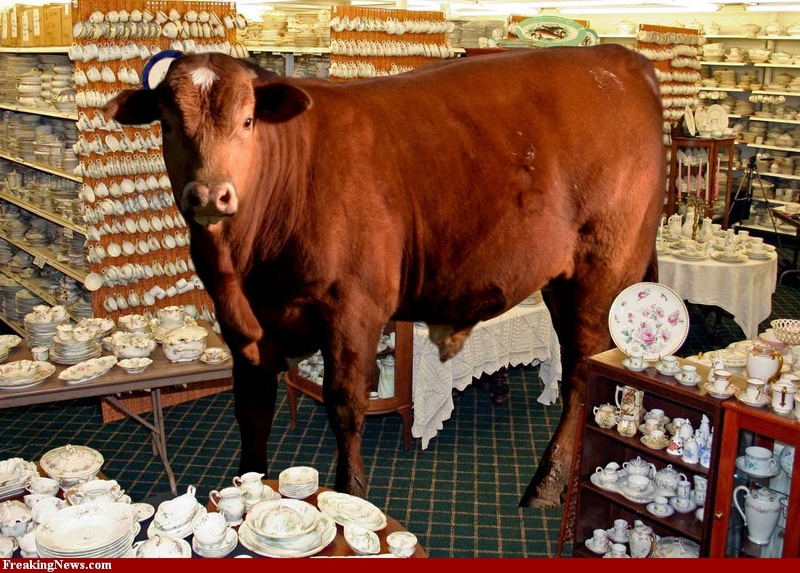 A blinkered bull in a china shop. The Luttrell Psalter really brings that home. As all you Americans shove your old b&w Kindles in a drawer to gather dust, along with last year’s must-have smartphone, last year’s games console and whatever else it was impossible to live without last year, and you enthusiastically embrace the new Nook and KindleFire tablets, spare a thought for the rest of the world. For most of the world the Nook doesn’t exist, and any Kindle is unavailable, let alone the KindleFire. For us in the UK, France and Germany the ancient, creaking steam-driven b&w Kindle is the only option we have from Amazon. You don’t need to be a history major to understand that an ebook like the Luttrell Psalter will be utterly pointless on the old b&w Kindle. Anyone who has tried a magazine or newspaper subscription on the b&w Kindle will know it’s utterly useless for those too. Children’s illustrated books? Useless. Illustrated text-books? Useless. In fact, for anything except a bog-standard narrative text it’s useless. But it’s not last year. It’s almost next year. Back at Christmas 2010 it was a different world. Although colour ereaders existed, the Kindle took the world (or at least the US and UK) by storm. Ebooks were essentially narrative text fiction books, and apart from viewing a pretty cover why pay more for a colour ereader? As we approach 2012 readers outside the US have exactly the same Amazon and B&N options as a year ago. No Nook or KindleFire here. Yet ebooks have been transformed this past year. 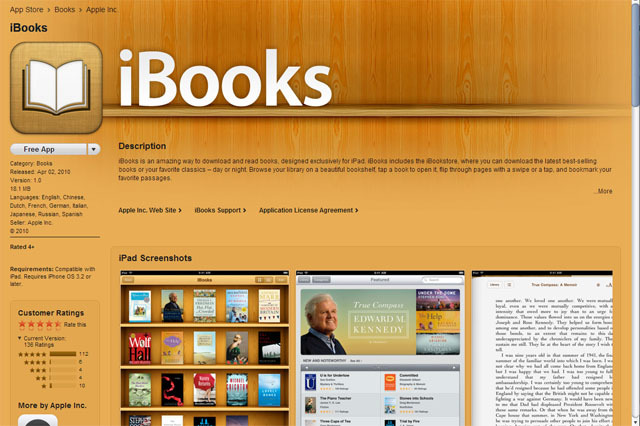 And the new ePub software is going to transform things beyond all recognition through 2012. Yet the UK / Europe Kindle has had nothing more than a lick of paint. Who in their right mind will spend £89 GBP ($140 USD) on a b&w Kindle that can’t do anything beyond read b&w text when there are alternatives? Who in their right mind would buy someone a b&w Kindle for a present this Holidays season when there are alternatives? Who’d be seen dead in public with a b&w Kindle next year? There are dedicated color ereaders available in the UK for much less than that, and you can buy a basic tablet for less too. Needless to say there are plenty of decent tablets about for those with more cash to spare, quite apart from the venerable iPad itself. 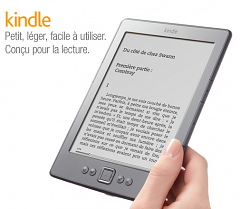 As we go into 2012 British, French and German Kindle owners are going to be increasingly frustrated as ebooks improve week on week, month on month, and their once wonderful Kindle becomes increasingly obsolete. How long before authors have to start labelling ebooks as suitable or unsuitable for the old Amazon equipment? 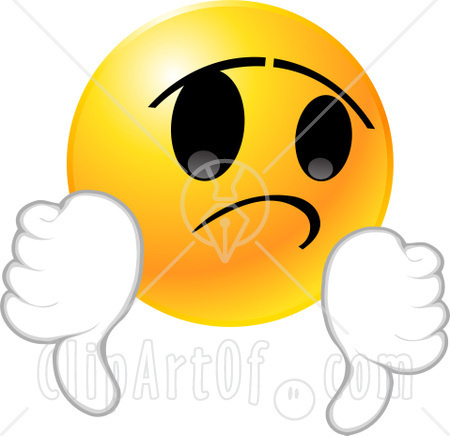 How many authors will be happy to upload enhanced ebooks to Amazon next year and risk permanent negative reviews from disgruntled b&w Kindle owners who spend money in good faith and then find they can’t use the enhanced features? 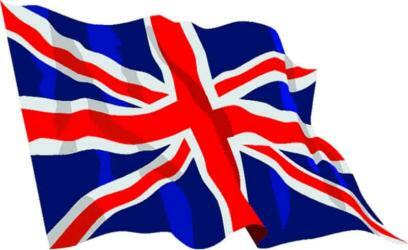 Will US authors with enhanced ebooks stop uploads to Kindle UK, France and Germany? What point British, French and German authors even bothering with enhanced ebooks on Amazon if their primary home audience can’t view them? For the countries where the Kindle isn’t available, including Chile and China, readers are already busy buying other devices. As loyal Amazon users in Europe get left out in the cold they’ll be looking at other options too. There has been no big take-off with the French and German Kindle sites, comparable to what happened in the UK a year and a half ago. But don’t fall for any crazy idea that the French and Germans don’t care for ebooks. It’s simply that, until these sites launched, just months ago, the Kindle was not available in France or Germany. But ebooks were becoming increasingly popular. So French and German readers bought other devices, and logged into other retail outlets. Just like they are doing everywhere else, in Europe and across the globe. You won’t see many Kindles in use anywhere in Europe outside the UK. Here and there in Paris and Berlin perhaps, but a very rare sight elsewhere across the continent. But you will see Europeans e-reading. 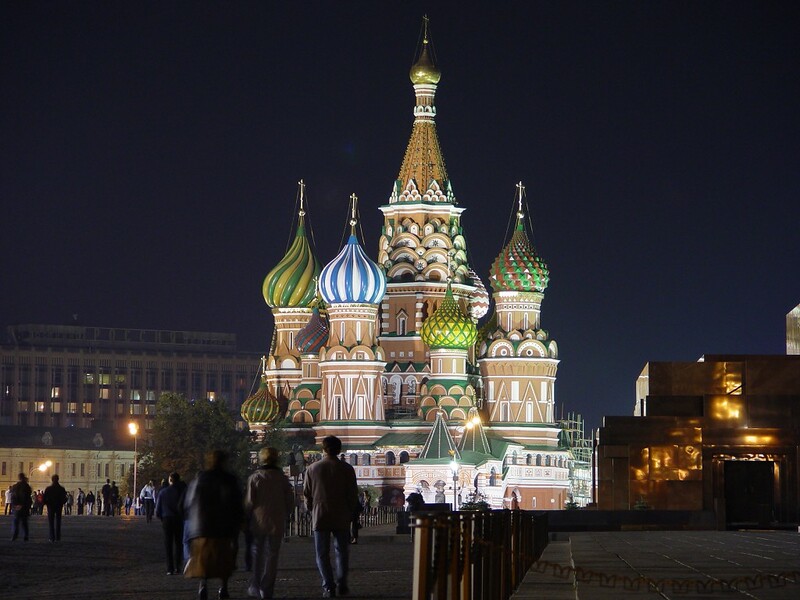 Go somewhere like Moscow, or Prague or Warsaw – or beyond Europe to Beijing or Bangkok, Lagos or La Paz – and just about everyone is e-reading. On their smart-phones, tablets and other devices. And once these readers buy another device then suddenly the Amazon site is no longer their first port of call, if it ever was to start with. Suddenly the other ebook outlets are far more interesting. The iTunes store and the Kobo shop-fronts might not have the finesse of Amazon’s Kindle store, but you don’t get stung for a $2 surcharge for buying a book just because you live the wrong side of the French or German border. 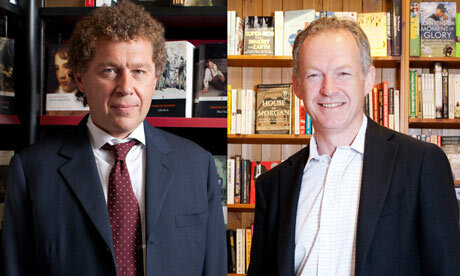 Make no mistake, it’s not just Kobo and iTunes taking advantage of Amazon’s myopia. There are plenty of other outlets – some huge, some tiny – and there are new ones emerging weekly. And as explained here on MWi two weeks ago, there are vast areas of the world that Amazon deliberately prevents from buying and downloading ebooks. Amazon has isolated itself, and in turn is becoming more and more isolated. 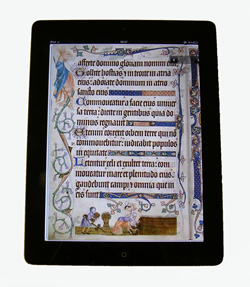 The Luttrell Psalter, for example, isn’t available on Amazon precisely because the UK Kindle cannot handle it. Apple have it instead. The British Library do not want tons of negative reviews from Kindle owners complaining their Luttrell Psalter doesn’t work on their ereader. So they make sure it goes to a distributor where it can be read. Thousands of ebooks that are on Amazon cannot be read properly on the old Kindle, and this time next year that number will be in the hundreds of thousands. And increasingly authors and publishers with their new, enhanced ebooks, will be wondering if uploading to Amazon is worth the inevitable negative feedback that will result as owners of b&w Kindles find the books they buy are worthless. Amazon hasn’t given a timetable for when the KindleFire will be available in Europe, but safe to say it will come to the UK first and France and Germany later still. Easter? Summer? Next Xmas? Who knows. And dare I ask, who cares? Given Amazon anyway can’t match the content provided (films, TV, etc, that won’t have European / UK rights) even when the KindleFire is eventually released here it will be inconsequential. By the time Amazon do get round to it, those who wanted a tablet will have gone elsewhere. And those readers will increasingly be buying their ebooks, enhanced or otherwise, from other sites. 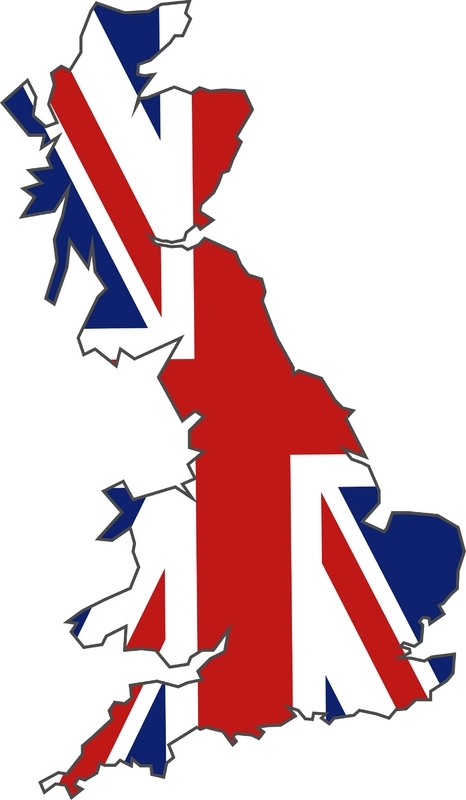 If the Kobo-WH Smiths team-up comes to fruition in 2012 Amazon could see its dominant UK position eclipsed in the next twelve months. As for the rest of the world… Outside the US and the UK neither readers nor authors are sitting about waiting until Amazon decides to honor them with its royal presence. Authors are selling their ebooks elsewhere. More importantly readers are buying ebooks from elsewhere. These are customers Amazon is deliberately ignoring or deliberately surcharging. 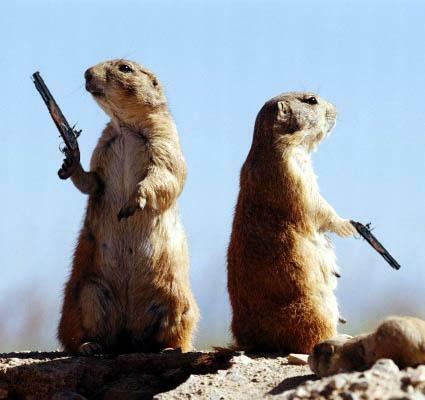 Customers that could be buying your books. There’s a lot of BS talked about how Amazon will become a monopoly and how we should all be fearful of Amazon becoming too powerful. But actually, the worry should be quite the opposite. Just how much longer can the Amazon ascendancy last?